We all know the phrase, “Go big or stay home.” The engineers behind the world’s largest construction projects are doing just that-and then some. Being ahead of the curve is a position that rarely comes without a cost. When it comes to construction projects that break new ground or intend to improve upon already existing buildings or infrastructure, that cost comes in the form of dollars – lots and lots of dollars. Want the bragging rights to having the world’s longest bridge? 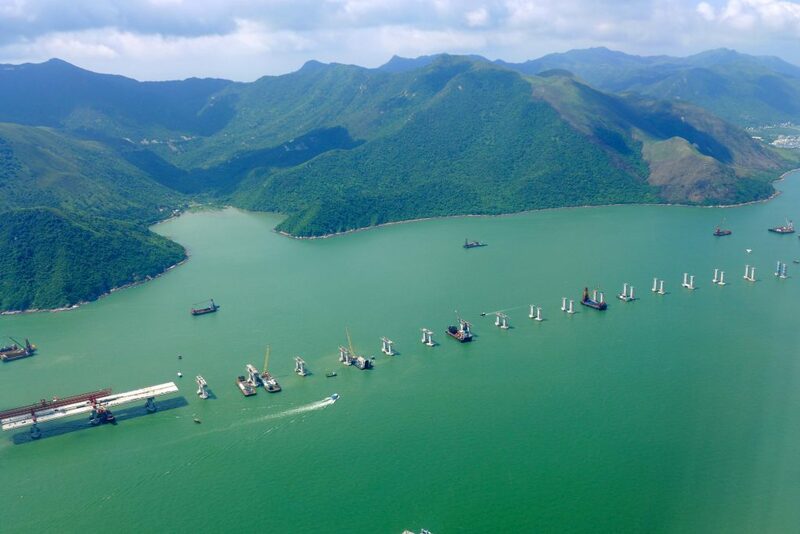 Thirty-one miles of connectivity across China’s Pearl River Delta is expected to have a final price tag of $10.6 billion. One general rule of thumb that can be applied to these large-scale mega projects: budgets get figured out in boardrooms. When it’s time to start getting dirty in the trenches, you might as well throw them out. 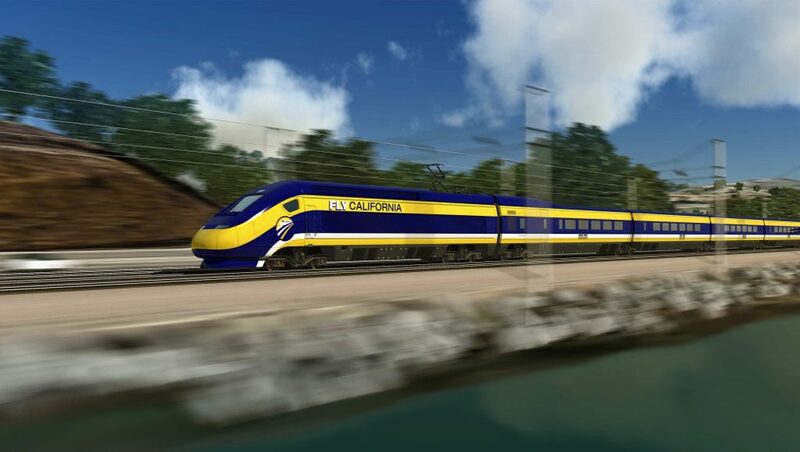 Back in 2008, ten years ago, California voters approved a plan for the state’s namesake High Speed Rail system, an 800-mile-long (1287 kilometer) stretch of track that will run from San Francisco to Los Angeles. Along the route 24 stations would be built and many of California’s major urban centers would be linked. Initially, estimates put the cost at $40 billion. Today, that number is on its way to $70 billion, with progress on the physical construction of the line being completed at a turtle’s pace. Yes, the irony has be duly noted that something intended to be so quick when it is finished is taking forever to build, but sometimes that curve we talked about earlier can be a doozy to get around. The world’s longest sea bridge, connecting Hong Kong, Macau and mainland China, was meant to cost around $10 billion, but overruns now put that price tag at over $15 billion. Its 34 mile length includes a snaking road crossing and a 4 mile underwater tunnel, as well as artificial islands and new border-crossing facilities. It uses 420,000 tonnes of steel, enough to build 60 Eiffel Towers. Some say that cutting across the waters of the Pearl River Estuary to link Hong Kong with the southern Chinese city of Zhuhai and the gambling enclave of Macau is part of China’s master plan to tighten its grip on the semi-autonomous city. Regardless, the bridge is meant to least for 120 years and boost business by cutting travel time by over half. It was also meant to open last year, in 2017, but delays, budget overruns, accusations of corruption and the deaths of construction workers have meant that the opening date is a little vague. Jubail is a city built from the ground up. Conceived back in the 1970’s, it rose from the sands of Saudi Arabia to become the world’s largest industrial city, and it is getting even larger. 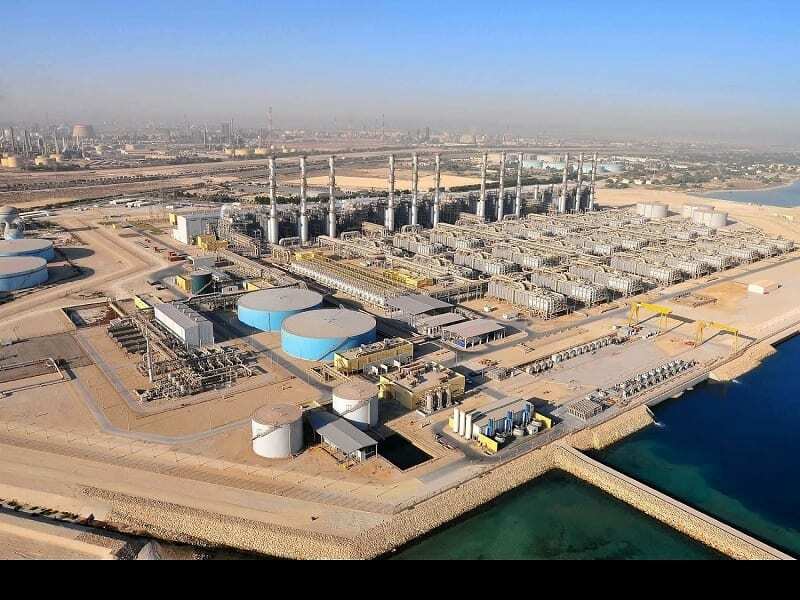 Jubail II is an enormous civil engineering project that will double the size of the city, and whose cost will run in the tens of billions of dollars once all is said and done. The expansion will include a massive boost to industrial capacity, including a huge oil refinery, residential units, a university, as well as all the necessary infrastructure like roads and utilities and water and wastewater. Beijing International Airport is one of the world’s busiest. It was recently expanded when Terminal 3 was built just in time for the Beijing Olympics in 2008, but the airport reached its design capacity of 75 million in 2013. Now that 10.6 million square foot complex struggles to handle passengers and boasts legendary delays. 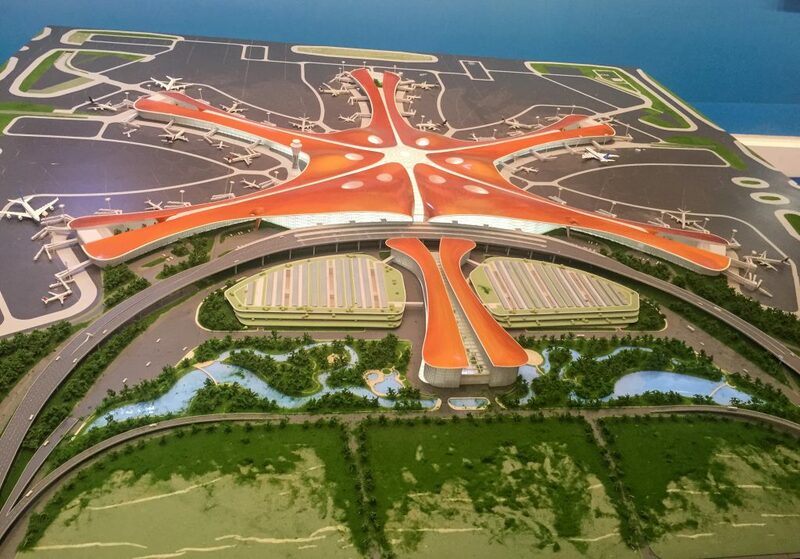 Beijing needs a new airport, and it is getting one: Beijing Daxing International Airport. The project is expected to cost over $13.1 billion and eventually serve another 100 million passengers. The airport will be connected to Beijing by a high speed train with a top speed of 350 km an hour, as well as an inter-city train and a major expressway. It will use 1.6 million cubic metres of concrete, 52,000 tonnes of steel and span a total 47 sq km (18 sq miles), including runways. There will be over 5 km of gates. Its design has been described as a large flower, but made of steel. London is a city of 10 million people whose infrastructure was built over 150 years ago, long before anyone imagined the city could get so large both in geography and in population. Although it boasts one of the world’s great subway systems, the famous Underground is still woefully inadequate for the city’s needs. 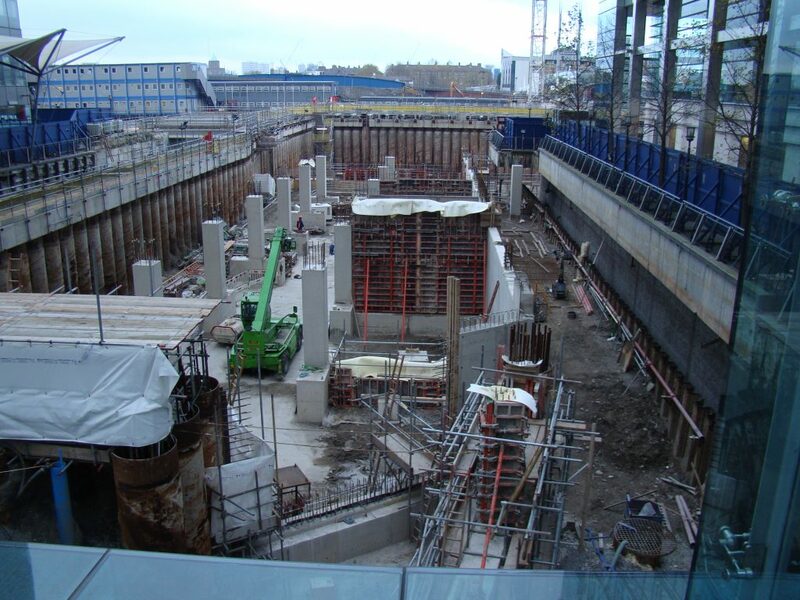 The Crossrail is adding 26 miles of new tunnels under the city on the new Elizabeth Line, with 40 new stations to serve the half a million passengers expected to ride along it each day. This amounts to a 10% increase in London’s rail capacity. At a cost of $23 billion, the state-of-the-art rail system has all kinds of upgrades over the current fleet of trains, including air conditioning, walk-through carriages, and efficient braking systems that “regenerate” electricity to reduce the total energy used to power the trains by 30%. In Dubai nothing is ever done on a smale scale, and that goes double for the world’s largest theme park, Dubailand. First announced in 2003, fifteen years ago, it was supposed to cost over $64 billion. The global financial crisis put a bit of a damper on things, and construction halted in 2008 for 5 years. But things are back on track now, and construction on the collection of parks, malls, and other experiences is well underway. 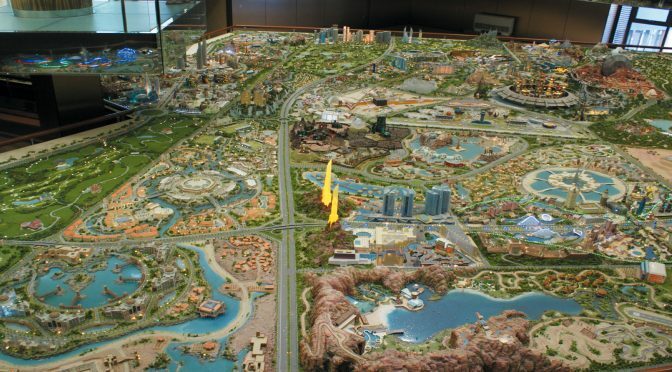 A number of different parks were meant to be part of Dubailand, but for one reason or another many dropped out, including Legoland, Six Flags, DreamWorks, Universal, Marvel Superheroes, and a giant ferris wheel. But there will still be more than enough to keep people busy when the park eventually opens, such as ecotourist hotels, a Trump golf course, and the world’s biggest shopping mall. 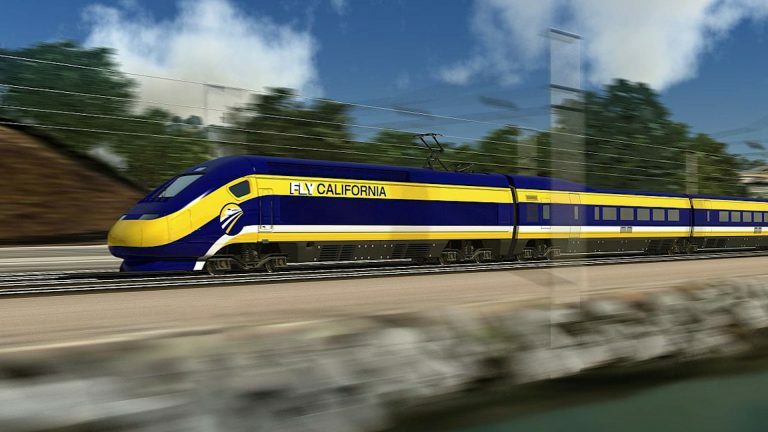 The California High Speed Rail project, known as HSR for short, will run about 800 miles of track to connect most of the state’s large cities with up to 24 different stations, offering a cheap two and a half hour ride from San Francisco to Los Angeles. California is plagued with traffic and pollution, and in 2008 voters were happy to adopt an affordable and environmentally friendly way to cruise at 220 mph up and down the Golden State without relying on their cars or short-haul airplane flights. Some are having second thoughts now that the train’s projected cost has mushroomed from approximately $40 billion when voters first approved the project to about $70 billion, with no end in sight. Still, those who like the train’s imagine it will provide a welcome boost to the state’s aging and overcapacity infrastructure. California’s population may grow, but the freeways and airports can’t. They also tout the train’s contribution towards California’s aggressive goal to cut carbon emissions to 40 percent below 1990 levels by 2030. By 2040, it is estimated that the High Speed Rail will eliminate up to 10 million miles of vehicle travel daily, as well as up to 180 short-haul flights. If you had to say what was the worst environmental threat faced by China, odds are you’d say pollution. And you would be wrong. It is water. Around four-fifths of the country’s water is in the south, where half the population lives. But in the north, where 45% of the country’s gross domestic product comes from and half of its power, there’s a water crisis. China’s entire future is threatened by lack of water, which is becoming a mounting problem. So what can they do about it except take some of that water in the south and bring it to the north in the most expensive infrastructure enterprise in the world. Known as the South-to-North Water Diversion Project, it is the largest transfer of water between river basins in history. At a cost of over $60 billion to build, three canals will divert 45 billion cubic metres of water per year from the Yangtze River in southern China to the Yellow River Basin in arid northern China. This is about half of what the State of California uses annually, and they’re not having a great relationship with water these days either. It will also displace hundreds of thousands of people. The problem is, the south doesn’t have the water it used to either. Recent droughts in Central China mean there is no excess water to transfer up to the thirsty North. The people where they want to take the water from don’t have enough for drinking and sowing their crops, never mind funnelling it all up to Beijing. And then there is the pollution, which may not be as big as a problem in China as water, but is still a big problem that is, ironically, made worse by the supposed solution to the water problem. Pollution from factories may make some of the water unfit to drink, while diversion of water from the Yangtze River Basin will probably make pollution problems worse on the Yangtze river itself. And these problems already recently got a lot worse since China finished their other great construction megaproject, the Three Gorges Dam. With all the people coming to Dubailand, they will surely need a better airport. No, wait, this is Dubai. Not just a better airport, the best! Or at least the biggest in the world. And biggest is best,right? 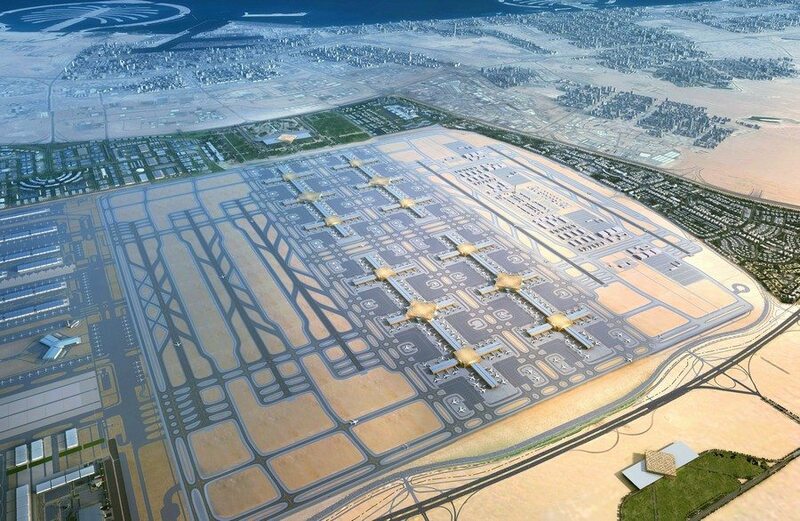 An expansion to the existing Al Maktoum Airport, currently only the second largest in Dubai –shameful — is set to spend about $33 billion to expand passenger capacity up to 220 million a year. Right now it can only handle around 7 million, so this is not mere cosmetic facelift. Not that Al Maktoum needed a facelift, it is hardly showing its age. It only opened in 2013. 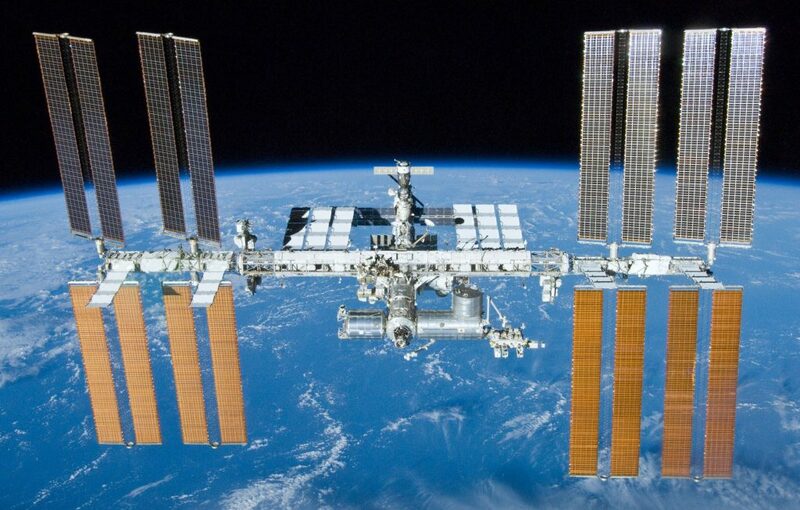 The International Space Station is one of the biggest construction projects ever undertaken on Earth, and a lot of was wasn’t even done on Earth. Itis also unique because no one country is responsible for it, but five different space agencies contributed to it: USA, Canada, Russia, Japan, and Europe. The first module was launched in 1998, and although it was officially completed in 2011 we keep on adding more to make it bigger. Current plans call for a new docking adapter and a new airlock module, but with the station due to be in service until at least 2025, there are sure to be more. 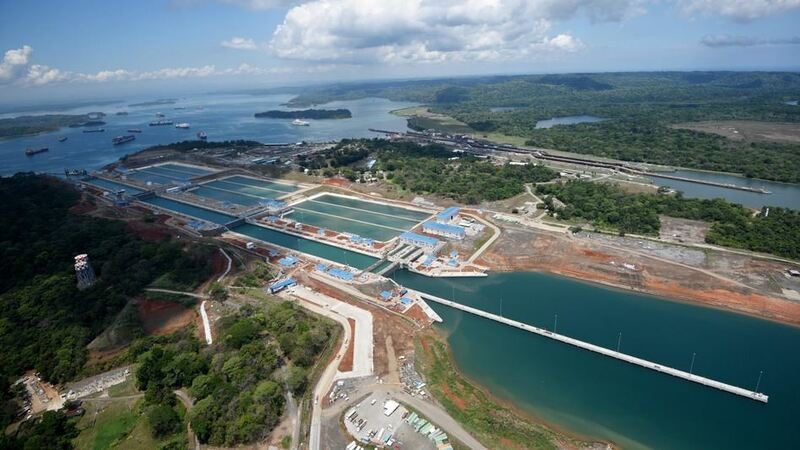 Panama Canal – Cutting a passage between North and South America was a game changer. Ships no longer had to sail all the way around the bottom of the continents to get between the Pacific and Atlantic Oceans. But the Panama Canal is woefully outdated, so plans are in place to spend 11 years and over $5 billion to expand the canal to better accommodate today’s bigger ships. 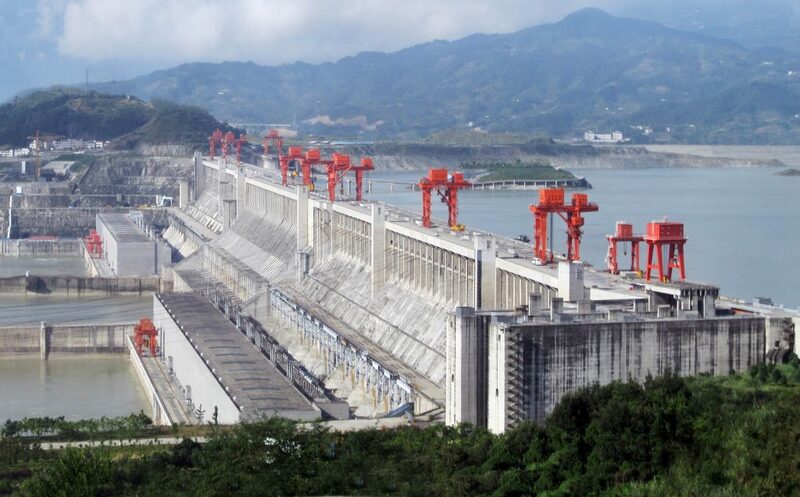 Three Gorges Dam – China likes their projects big, and this is dam big. After 17 years and almost $60 billion the dam on the Yangtze River is the world’s biggest. 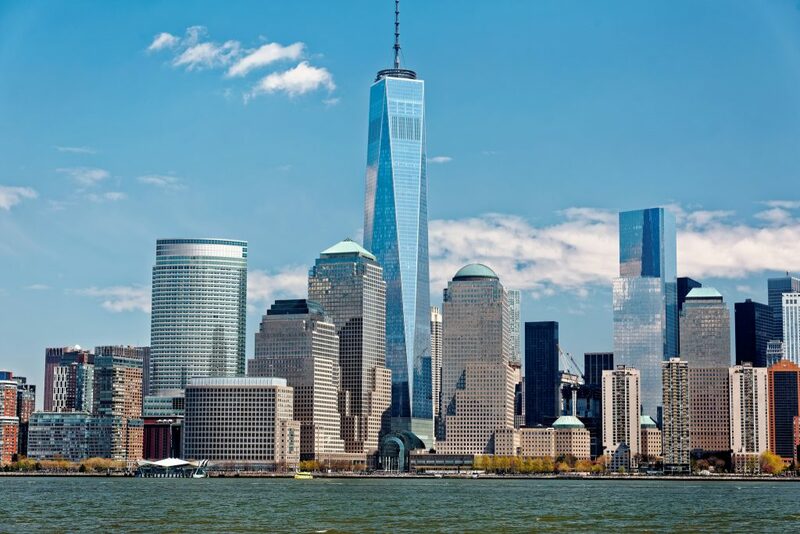 One World Trade Center – After 911, New York was not about to roll over and do nothing. A phoenix had to rise from that hallowed place, and the Freedom Tower fits the bill. The tallest building in the Western Hemisphere and sixth tallest in the world, the $4 billion super tall structure is clad in stainless steel panels and blast-resistant glass, making it literally a shining example of humanity’s ability to overcome pretty much anything.